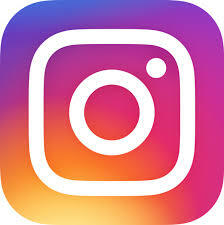 Home / WHERE CAN I SEE PICTURES OF SPECIES? 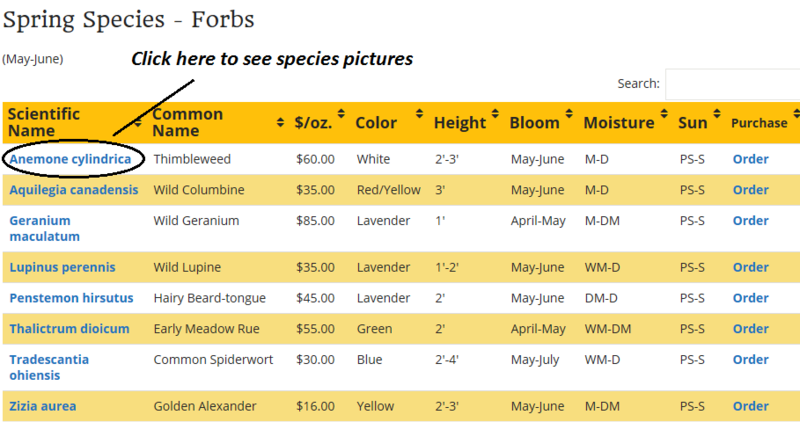 You can see photos of individual species by clicking on the name in our Species List which have been linked to the University of Michigan Herbarium. 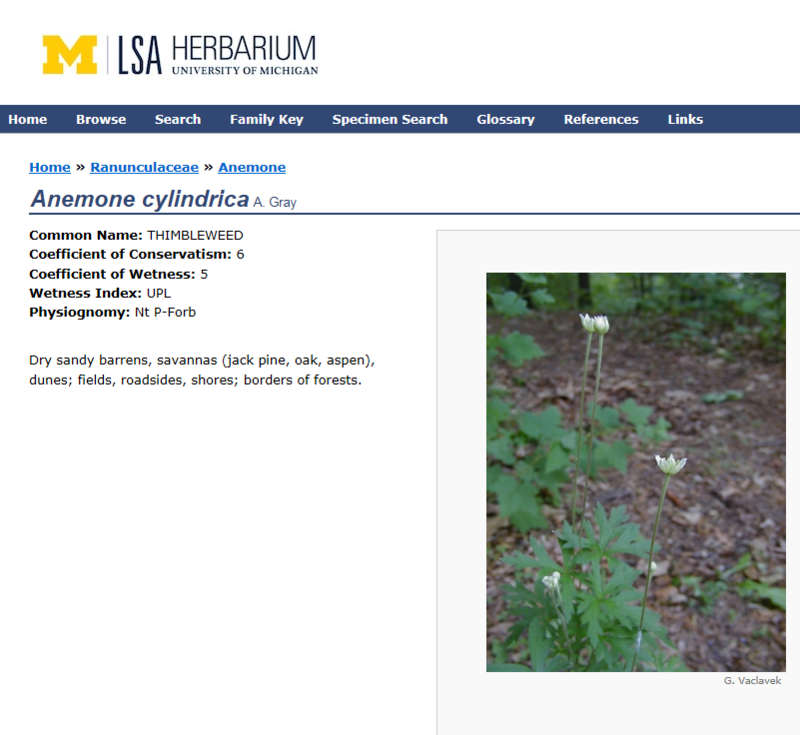 As the example below shows, by clicking on Anemone cylindrica in the Species List, you will be linked to the respective page of the U of M Herbarium website.